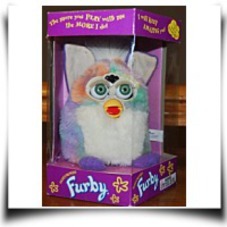 This can be an electronic Furby with lavender feet and ears. Body is pastel colors of orange, turquoise, pink, and lavender. Eyes are blue. Requires 4 AA batteries not included. Inside the ears are white. His tummy and mane are white. I can play games, dance and learn tricks! I can say more than 500 phrases! 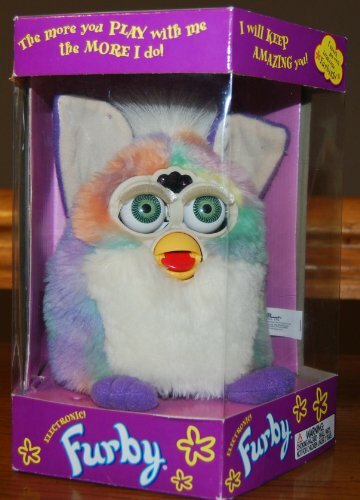 The first Giga-Pet you can really pet! Package Dim. : Height: 3.9" Length: 6.1" Depth: 5.2"